W. W. Norton & Company, 9780393343885, 352pp. Arthur Opp weighs 550 pounds and hasn't left his rambling Brooklyn home in a decade. Twenty miles away, in Yonkers, seventeen-year-old Kel Keller navigates life as the poor kid in a rich school and pins his hopes on what seems like a promising baseball career. The link between this unlikely pair is Kel's mother, Charlene, a former student of Arthur's. 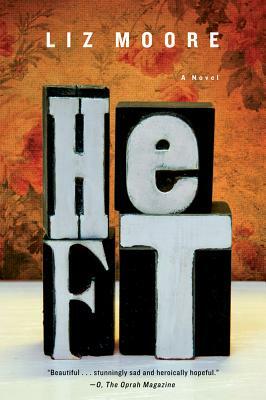 Told with warmth and intelligence through Arthur and Kel's own quirky and lovable voices, Heft is the story of two improbable heroes whose connection transforms both their lives. From Charlene to Yolanda to Marty to his neighbor’s wife, Suzanne, Arthur seems more comfortable in the company of women. Why do you think that is?What do you make of these platonic relationships? Read "Connecting to Loneliness" by Reading Group Choices' Neely Kennedy for discussible topics and themes!